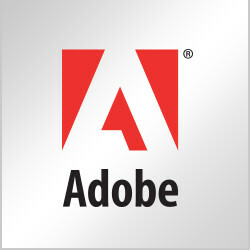 Learn how you can extend the rights of a PDF to allow users to save form data in earlier versions of Adobe Reader. Ordinarily, users of Adobe Reader X and earlier can’t save filled-in copies of forms they complete unless the form has been reader-extended. Forms can be reader-extended using Acrobat Pro. In addition, Acrobat Pro users can also include more capabilities for Reader users, such as adding text to non-interactive forms. Note: Unlike earlier versions of Reader, Reader XI and Acrobat Reader DC include both the Add Text tool and the ability to save form data. Acrobat DC users can type in non-fillable forms, add comments, and digitally sign PDFs without extending special rights. Enable Commenting & Measuring In Acrobat Pro DC, this feature allows Reader users to add comments or access the Object Data, Measuring, and Geospatial tools. Enable More Tools (includes form fill-in & save) This allows users to save data they’ve entered in interactive or fillable forms.